The Master Works Bowed Psaltery is possibly the most innovative Bowed Psaltery built. Light weight ( approximately 2 1/2 lbs.) 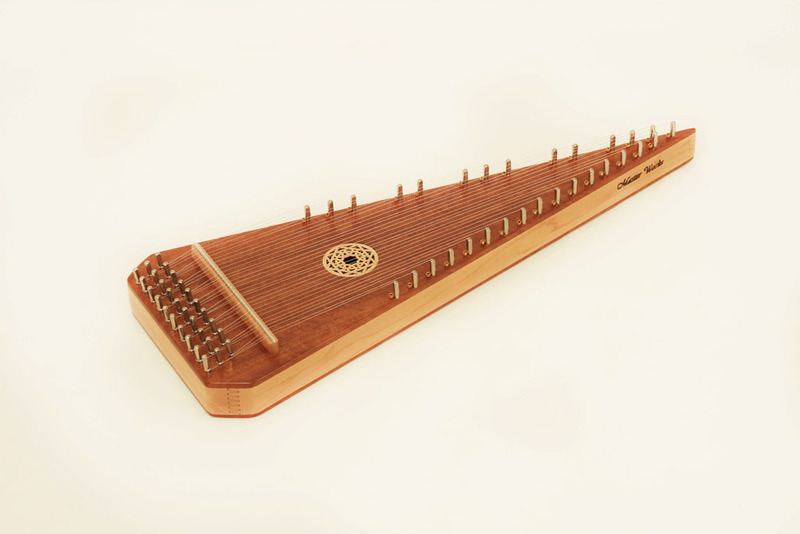 and easy to hold, you can enjoy hours of music comfortably on a Master Works Psaltery. A pre-stressed finger-jointed frame of hard maple accompanied by the uniquely supported soundboard guarantees a durable and accurately hand crafted Psaltery that will provide, not only years, but decades of reliable musical service. Master Works Psalteries have a logically located “fingerhole” in the upper back to insure safe and comfortable control as you play or transport your beautiful new Psaltery. Each instrument is carefully inspected for accurate hitch pin height to insure smooth movements of the bow from note to note. Thirty string with varying gauges provide strong consistent tone throughout its fully chromatic range of F above middle C to third Bb above middle C. Of course, all Bowed Psalteries come with the beautiful Harrison Rose soundhole inlay. Each instrument comes with a tuning wrench, string gauge chart and tuning scheme, rosin, and a Master Works bow made of real Mongolian horsehair. We back all of our instruments with a 2 year limited warranty. 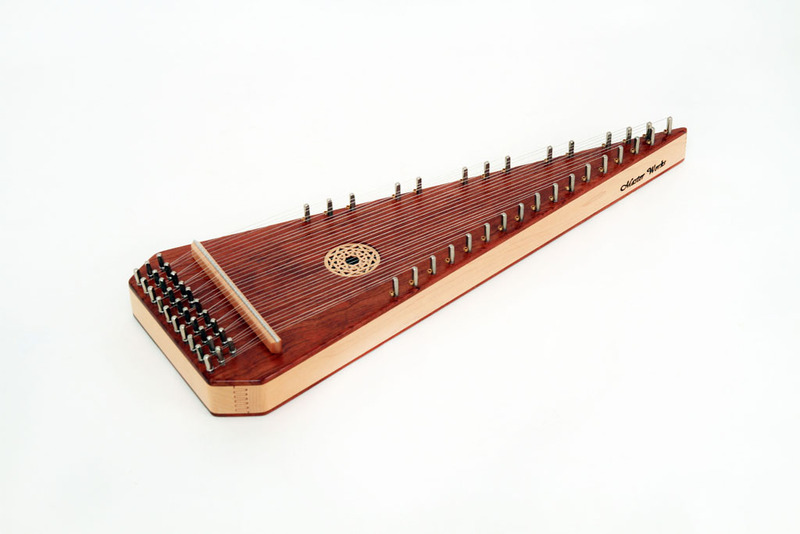 Whichever model you choose, you will discover the excitement of making beautifully haunting music incredibly quick and easy on an individually handcrafted Master Works Bowed Psaltery. Allow our craftsmen to build yours today.